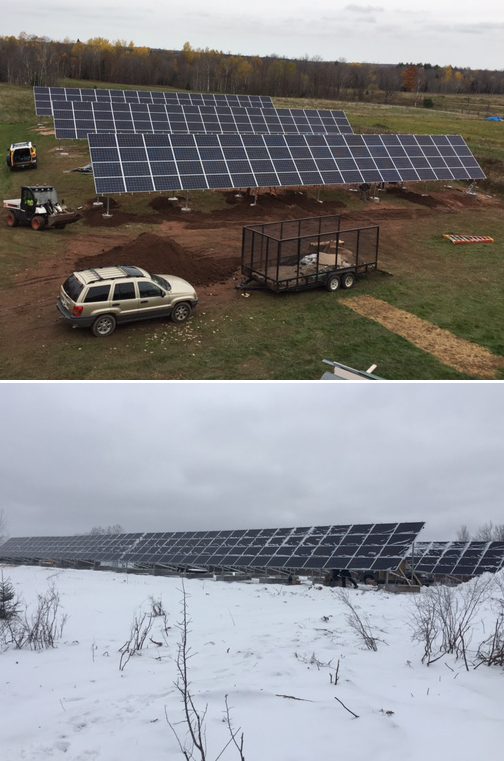 Solar power has been installed and proven to work here in the UP and is the fasting growing energy solution in the world. There is very little physical footprint when installing solar panels whether they’re on your roof or in your yard. They do require energy and input of raw materials when constructing the panels, but the environmental impact once they’re installed is minimal. The technology involved with solar panels produces none of the carbon, methane or particulate emissions that fossil fuels emit. Technology allows you to monitor energy consumption from mobile apps and the web. The real techno geeks can track their solar panel with an app or webcam. Your energy consumption can be monitored on your app or through the web. This would be convenient in the situation of having a home or cottage in a different location, as you can observe from afar what your energy consumption is doing. 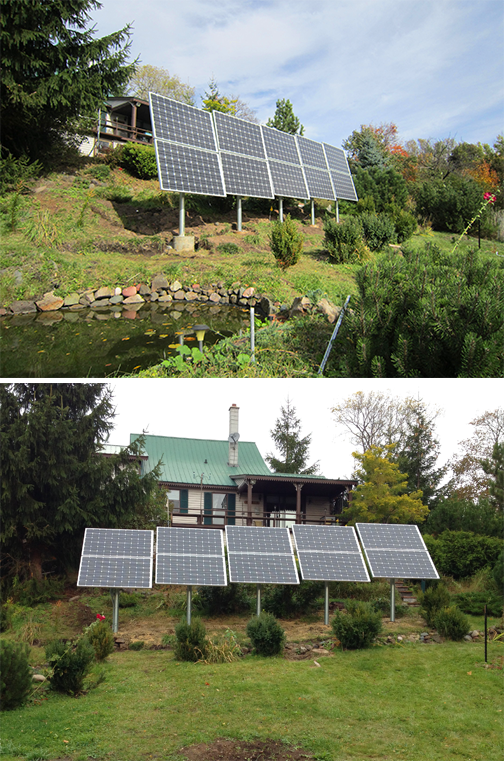 Cost effective installations create self-sustaining energy to power homes, businesses, remote cottages and rustic camps. Installing a small solar unit could be very beneficial for a remote camp or cottage. If the landscape is not dense with trees this can be a cost effective way to get power without the noise and expense of a generator. Good for customers that like to be off the grid and that are worried about the reliability of a traditional power system. Financing programs, tax credits, net-metering and free sunlight make powering your home affordable. Most systems “pay you” right away. The rates/kwh with solar never increase, but they have the opportunity to decrease as you can obtain credit on a bright sunshiny day when you’re solar panel is soaking up the rays. Financing programs are available through Michigan Saves. You also can receive credit with net metering so your system “pays you” right away. *The cost of your power bill, and the cost of financing (and using) a solar system are similar. Call (906) 487-5342 for details.